I Made Jack Black a Cake AND Got to Meet Him! My friends who know me well, know that almost every line that comes out of my mouth references Nacho Libre or lyrics from Tenacious D albums. Nothing makes me laugh more, so this just may have been one of my greatest moments in history. I tried as hard as I could to not be a weirdo fan-I WAS supposed to be there. I think I was normal, I think. He sure was awesome. I made him and costar, band mate Kyle Gass a cake in the shape of the pick from the movie Pick of Destiny. 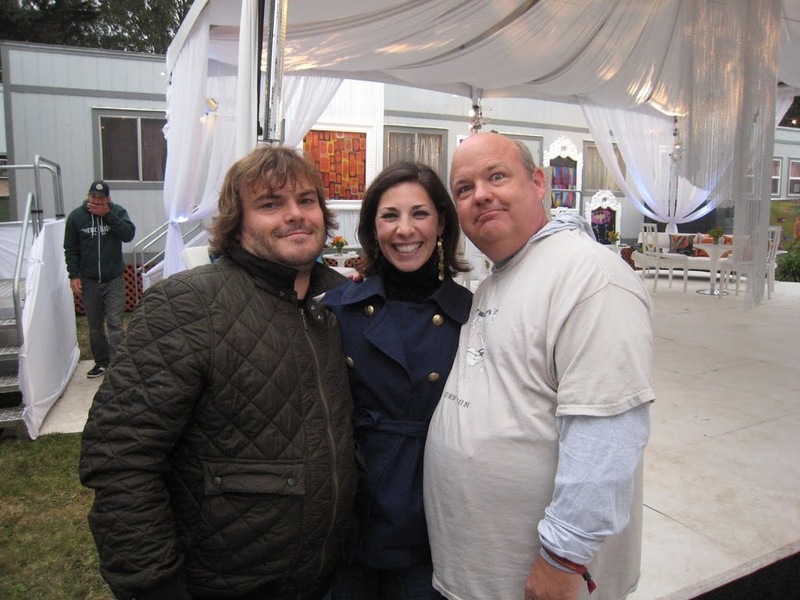 Jack Black and Kyle Gass make up the most killer rock band of all time: Tenacious D. They reigh supreme!